This will generate a screenshot for each version of your website, Staging and Production, based on the Staging URL + Pathname or Production URL + Pathname and compare the screenshots. You can choose the threshold which will ignore the percentage of different pixels between the two screenshots generate for each page. You can generate screenshots on different responsive sizes or emulate on mobile devices. More details on our Visual Regression Testing service webpage. 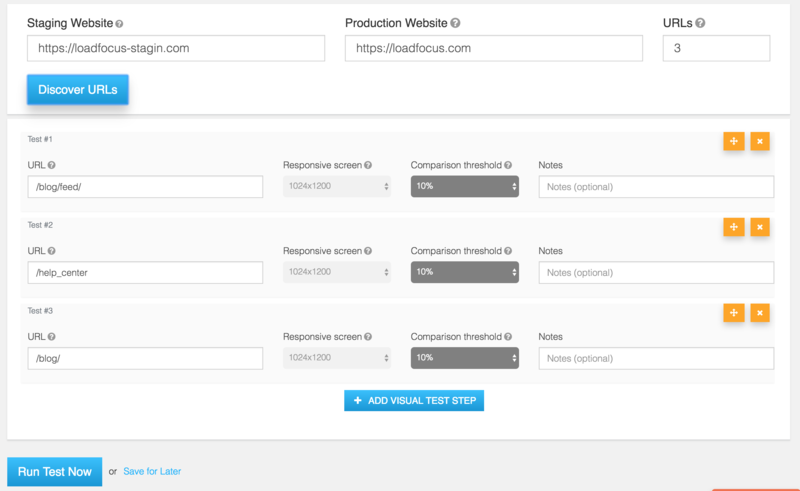 LoadFocus is a cloud testing platform. With LoadFocus you can check your website/API performance, inspect mobile rendering, compare versions of your website and much more. Let’s say you have an email campaign planned for thousands of subscribers and you want to check how your website/blog is going to behave when tens or hundreds of users are going to hit your website every second. The above Load Testing related articles will get you up to speed with Load Testing, as a best practice in software development, reasons why is good to load test your application, website or web services, and how to understand better your load test results. Here is another article on how to load test my website. For more articles related to load testing, please check our blog. How fast your website loads can affect customer conversion rate. There are improvements that you can do in order to make your web pages load faster. 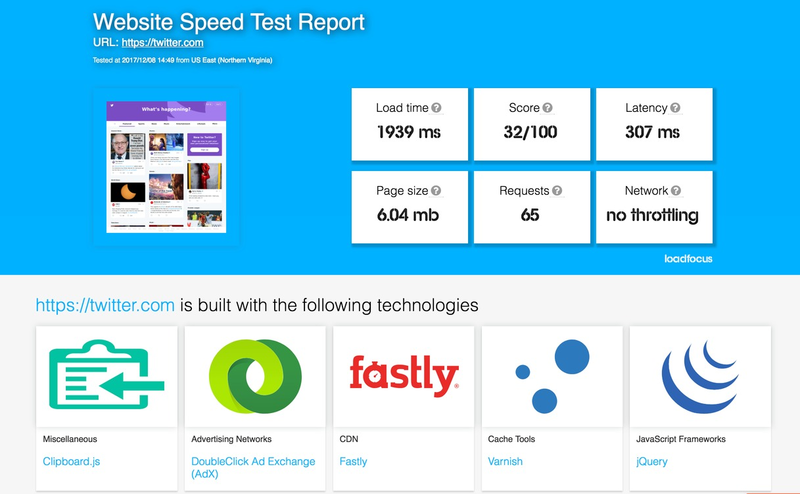 Run a free website speed test for your website. Load Testing your cryptocurrency exchange service is very easy with the Cloud Load Testing Tool provided by LoadFocus. You can easily simulate exchange transactions by calling your API endpoints within our load testing tool. It can simulate up to 600k requests per each load test. Load tests run in real-time and you can inspect multiple performance metrics like: response time, latency time, requests per second, throughput per second, and identify potential errors and bottlenecks that may impact your customers. Here you can better understand errors and response codes. Also, multiple cloud locations are available so you can simulate traffic from different part of the world. To provide a faster web interface, you can run a free website speed test and discover potential speed improvements for your Cryptocurrency Exchange Service. For more details on how to get started here click here. We’ve introduced an easy way to find which technologies are used by the website under test, in case you have ever wondered on how to find what technology is behind the particular website. Here is an example of a test, and now it’s also part of our Free Website Speed Test. This will help you better understand by your website loads slower than expected, and find out what other website are using in terms of the scripts and technologies behind that website, and find out more information about competitors.